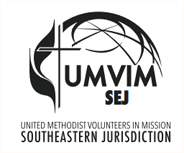 A United Methodist Volunteer in Mission (UMVIM) Team Leader Training will be given on Saturday, November 10, 2018 from 10:00 a.m. to 3:00 p.m. at the Trinity Outreach Center Fellowship Hall, 320 Robertsville Road, Oak Ridge, TN 37830. Please bring a sack lunch. This course provides you the tools you will need to confidently lead a mission team from your church congregation on a successful mission trip either within the USA or throughout the world. The cost of the course is $26, which is the cost of the Team Leader Handbook which you will receive at the UMVIM Team Leader Training. Please register so that sufficient materials will be available that day.